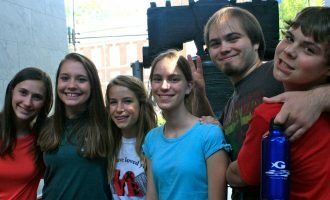 Our youth engage in service to our church family, mission and local outreach, and take active roles in worship services. There is a place for everyone at NDPC – we hope you will join us! 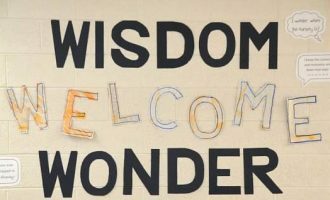 From September – May, the Sunday school hour falls between the early worship service (8:30 a.m.) and the 11:00 a.m. worship service. This is a designated offering and goes directly to the youth budget. PayPal charges the church $.30 plus 2% of the total per transaction. 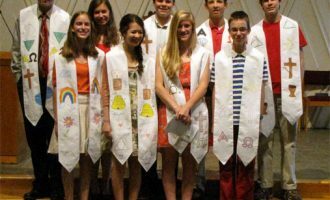 8th & 9th graders and above are encouraged to attend our confirmation classes, which are offered every year on Sunday mornings. Be prepared to explore spirituality and the great questions and traditions of our faith. Questions, experiences, certainties, and doubts are all welcome! If you missed confirmation sessions, you and your child can watch the videos together on our Vimeo page below and discuss using the parent/mentor guide. We genuinely enjoy each other! From time to time, we like to take an outing somewhere in the city, whether it be to the local bowling alley or to meet up at Steel City Pops for a cool treat. We take weekend retreats and service trips. See Youth Calendar (Click here) for details. Mission trips and service learning are powerful opportunities to witness to and be a witness of God’s love in our world. We serve our local church community as well as those who are beyond our walls. Each summer, the Senior High youth travel together for a week of mission, alternating among rural, urban and international experiences. Past trips have taken us to Miami, Guatemala and the Appalachian mountains of Tennessee. Sunday evening fellowship meetings happen every week during our program year (September – May). Dinner starts at 6:00 PM, followed by the program. Junior High and Senior High groups meet separately. Be sure to check out the calendar to know what’s going on. On occasion we like to change things up – just to keep you on your toes! Weekly Sunday School classes are offered for Junior High (6th – 8th grades) and Senior High (9th – 12th grades) students, and each have their own classes. 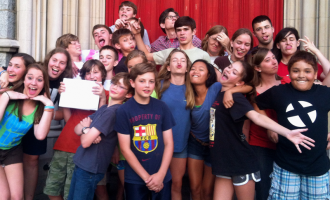 The middle school youth often watch movies and discuss their theological themes. The senior high youth sometimes enjoy making waffles (and eating them too! ), while engaging in a variety of topics relating faith to our lives. Please note that a permission form must be on file for all off-site youth activities. Fill out the Youth Permission Form online. We work to enhance a strong children’s program, which is strengthened through the curriculum used during church school, children’s involvement in worship, youth group opportunities, and family activities and education.